Chinese dissidents in Scotland have filed lawsuits against a former president of China alleging they suffered human rights abuses including torture under his regime. They are among a group of 30 Chinese nationals in Britain taking legal action against Jiang Zemin who was China’s leader from 1993 to 2003. The six people in Scotland taking legal action include a doctor called Denise Yu who lives in Edinburgh. She was imprisoned for five years for refusing to stop the banned spiritual practice Falun Gong which combines meditation and quigong. Falun Gong was banned in 1999 by the ruling Communist Party of China when the government decided the practice was a grave threat to its authority. 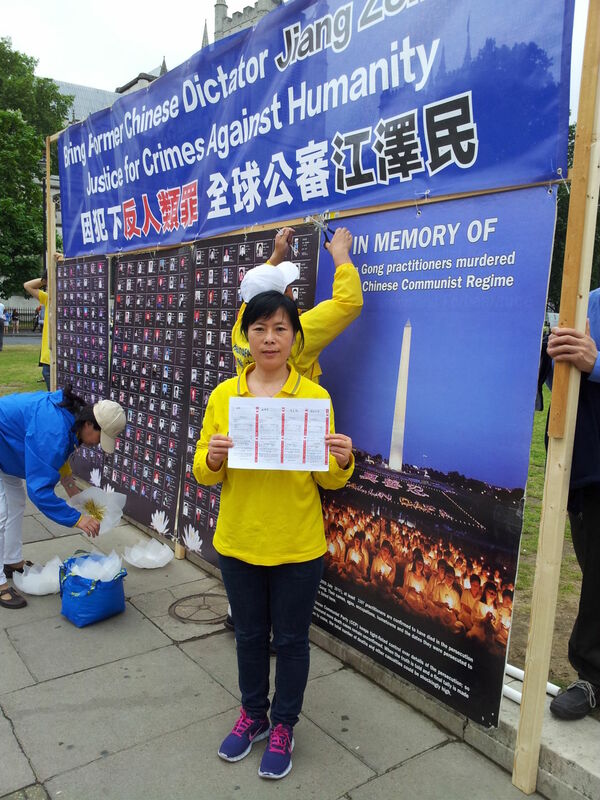 Since then tens of thousands of Falun Gong have been arrested and sentenced to ‘reform through labour’ camps where, it is claimed, they have been starved, beaten, tortured and murdered. Human rights campaigners claim that up to 65,000 Falun Gong practitioners have been killed for their organs since 2000. Yu was granted refugee status in 2013 by the UK government who accepted her claim that she suffered torture in China because she practised Falun Gong. Her lawsuit has been sent to the Supreme People’s Court of the People’s Republic of China. Yu served most of her sentence in Beijing Women Prison where she claims she was often maltreated and even forced sit on a small stool for up to 18 hours a day. A separate lawsuit against Zemin was filed by Mary He who is a Chinese refugee living in Glasgow. Mary He refused to renounce Falun Gong and was forced to give up her job as a travel agent in the city of Dalian in February 2000. After fleeing China she was granted refugee status by the UK government in January this year. The Chinese refugees and their supporters are starting a campaign to persuade the Scottish Government to make it illegal for someone to travel to China for an organ transplant. They would like Scotland to introduce legislation to outlaw transplant tourism and have the backing of Edinburgh councillor Jim Orr who is trying to get a bill sponsored at the Scottish Parliament. The Chinese Embassy in London, UK, declined to comment. A version of this story was published by the Daily Record on 28th August 2015. Well done for reporting on a sorely underreported crime against humanity.